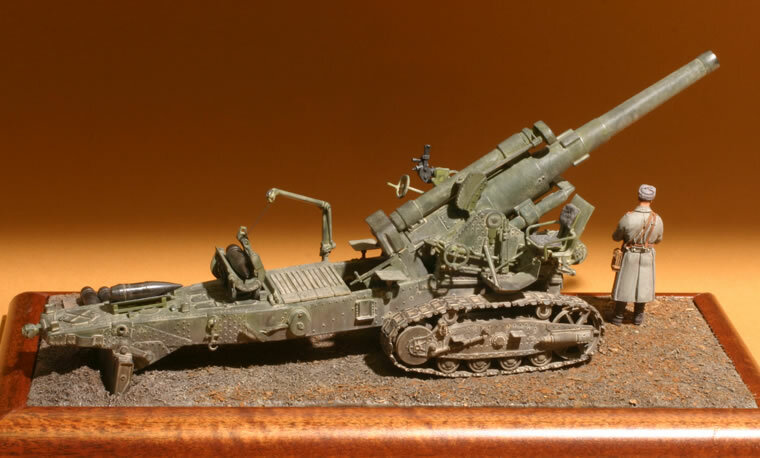 Trumpeter’s 1/35th scale B-4 howitzer is the second plastic kit of this interesting weapon to appear in the past year. Alan in Russia also produced one, though it is much more difficult to find. (The review of the Alan kit in M-Khobbi magazine was favorable, but I didn’t see anything that would cause me to try to hunt down this kit instead of the more readily available Trumpeter offering). 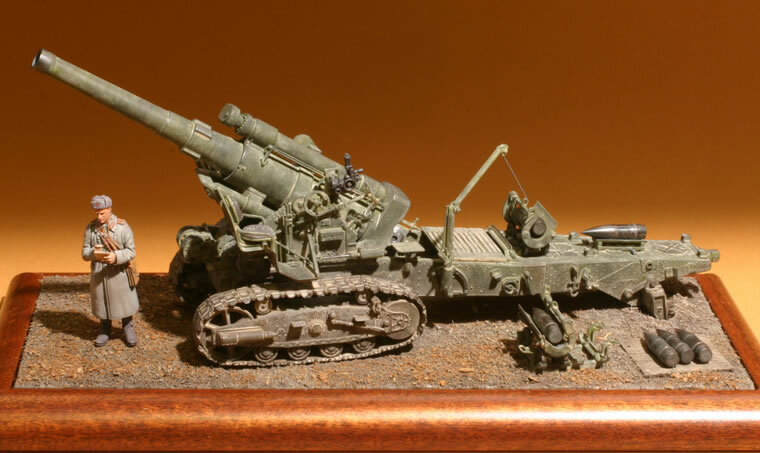 The Trumpeter kit is a joint venture with Pit Road in Japan; Pit Road had an earlier resin kit of this howitzer, so presumably Trumpeter relied on this for reference. The kit depicts a fairly typical pre-war production type. 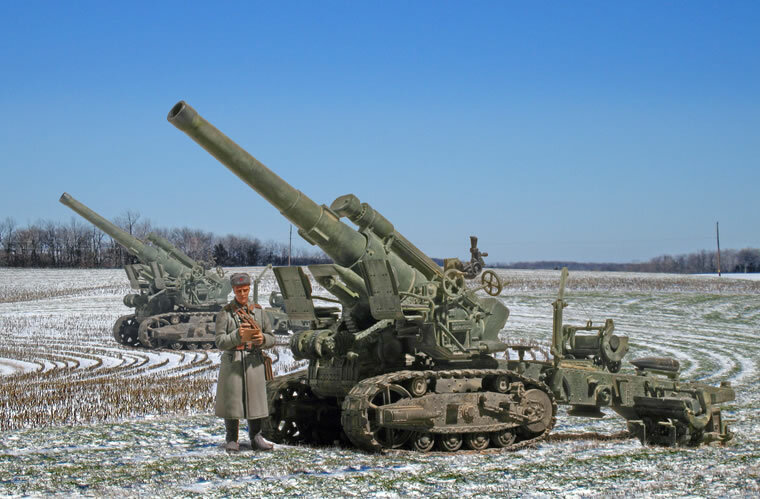 It’s worth noting that the Aberdeen Proving Ground howitzer is an extremely early production type, so care should be taken in copying details from the APG howitzer unless trying to convert it back to the initial production batch. I found the kit to be a frustrating mix of both state-of-the-art slide mold technology, mixed in with a lot of sloppy parts fit and small traces of flash. None of these are major problems, but this is a kit that demands a lot of dry fitting of parts. Due to the B-4’s “Steam-punk Victorian engineering” there are a lot of joint issues due to its complexity. In summary, Trumpeter's B-4 was a lot of fun to build, but it is a kit that requires more care during assembly than usual. 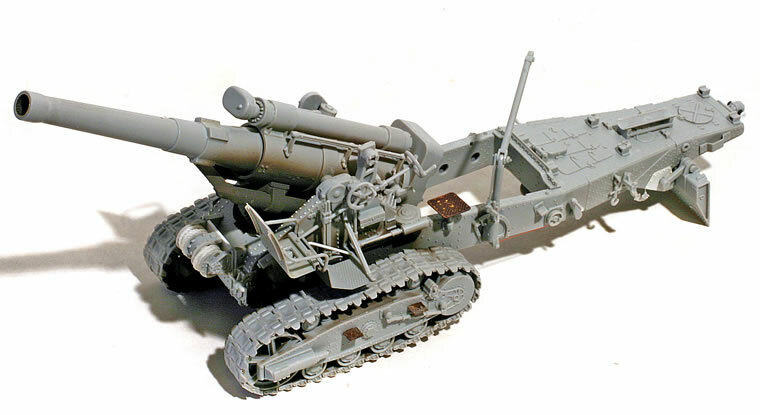 Trumpeter has announced a Voroshilovets tractor, which would make a most interesting combination. I’ve finished an article for Military Modelling on this project that contains more historical detail as well as reference photos of both museum guns and WW2 period images.